The market for luxury pickups is booming these days, along with the sky-high prices being charged for them. To that end, The Sleuth is not that surprised that Ford will make available the 450-horsepower twin-turbocharged V-6 from the off-road Raptor model in the premium four-door F-150 Limited SuperCrew for 2019. 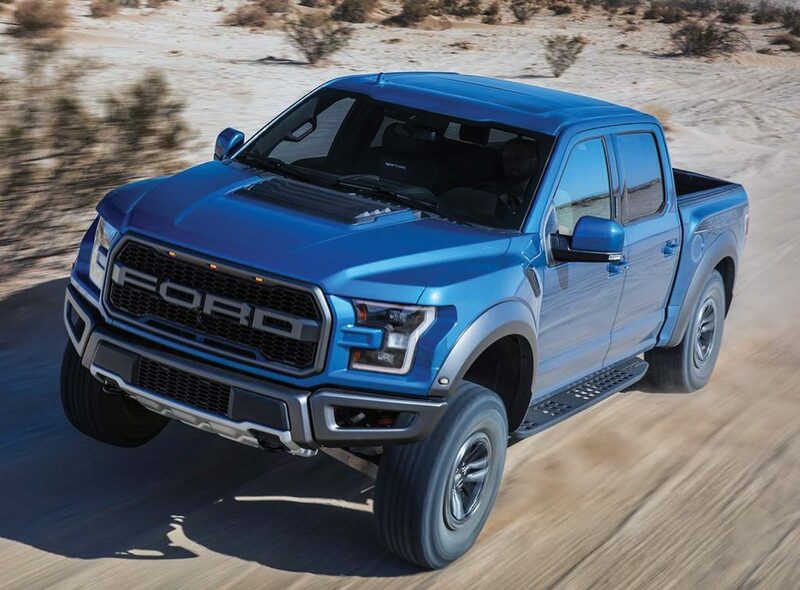 The engine was originally introduced in the 2017 Raptor and makes the same 510 pound-feet of torque. Of course the F-150 Limited SuperCrew won’t have the Raptor’s off-road-capable suspension, underbody protection and knobby 31-inch tires. Instead, the Limited gets the full-on luxury treatment, including dual sunroofs, ventilated two-tone leather seats, suede-like headliner and genuine wood trim. Unique trim pieces and 22-inch wheels will also be standard. There’s no firm word as to pricing, but something close to $70,000 would not be out of the question.